At this time of Thanksgiving, we at Special Collections, Buswell Library, are deeply grateful for the service of David Malone, longtime head of Special Collections. 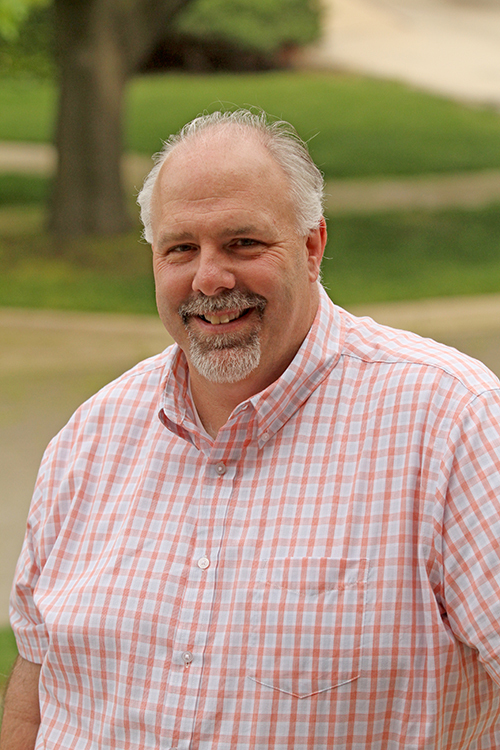 In July of this year, David left Wheaton College to become Dean of the Library at Calvin College and Seminary in Grand Rapids, Michigan. While we are excited for him for this new venture, he is missed at Wheaton, and we wanted to take the opportunity to celebrate him and his service. David was hired in 1991 as Assistant to the Head of Special Services at Buswell Library before becoming Head of Systems four years later. Later in the 1990’s, David became head of Archives and Special Collections, a role that combined his love for history, archives, and technology, with his talent for building relationships within the college community and visiting researchers. In 2004, he became an Assistant Professor of Library Science before being promoted to Associate Professor in 2012. Collaborating with faculty to bring historical artifacts into the classroom, including closely working with Professor Emeritus of Anthropology, Dean Arnold, on his “Craft of Anthropology” course. David is an exceptional librarian, team leader, and colleague, and Buswell Library has greatly appreciated his leadership and vision. We conclude our thanksgiving of his service with the reflections of two of his longtime colleagues, David Osielski and Keith Call. We would also like to thank Brittany Adams, former Metadata Associate at Buswell Library, for compiling much of the above material.